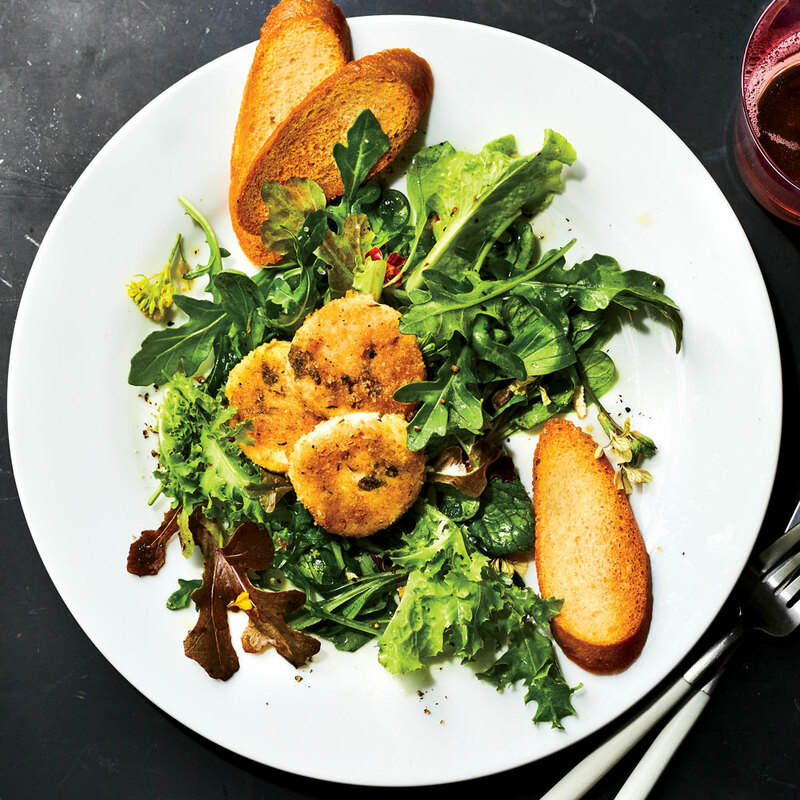 These garlic croutons are the perfect topping for Alice Waters’ Baked Goat Cheese Salad, but they pair well with most salads. Watch them closely—toasted can go to burnt in just a few minutes. In 2018, Food & Wine named this recipe one of our 40 best. Preheat oven to 350°F. Brush both sides of bread with melted butter, and place in a single layer on a baking sheet. Bake in preheated oven until golden brown, about 15 minutes, turning halfway through baking. Rub croutons with cut sides of garlic while croutons are slightly warm.